Will this Inspiring Moment happen again at K. Warrior -31st KSF US Open MA Challenge on Dec. 2, 2017 in Atlanta? The similar inspiring fighting moment happened to Patrick Barry at K. Superstar - US Open International MA Championship in Atlanta in 2003, and it also happened to Mr. Barry's fiance Rose Namajunas who squared away the matches between her and Joanna Jedrzejczyk to capture UFC strawweight title in Madison Square Garden in New York. Will this Inspiring Moment happen again at K. Warrior -31st KSF US Open MA Challenge on Dec. 2, 2017 in Atlanta? such inspiring moment happened to Patrick Barry at K. Superstar - KSF US Open in Atlanta in 2003, and happened to Mr. Barry's fiance Rose Namajunas at UFC. Will this Inspiring Moment happen again at K. Warrior -31st KSF US Open MA Challenge on Dec. 2, 2017 in Atlanta? The similar inspiring fighting moment happened to Cung Le at US Open International Martial Arts Championship in New Orleans in 1996 and to Patrick Barry at K. Superstar - US Open International MA Championship in Atlanta in 2003, and it also happened to Mr. Barry's fiance Rose Namajunas who squared away the matches between her and Joanna Jedrzejczyk to capture UFC strawweight title in Madison Square Garden in New York. Such inspiring moments have happened to Grand master DeRu's fighters like Cung Le and Patrick Barry many times both in China and the US. Such inspiring moments have always motivate and inspire the Shaolin Warriors, especially after watching the UFC matches between Rose Namajunas and Joanna Jedrzejczy. This inspiring and outstanding fighter Rose who just captured UFC strawweight title is the fiancé of Patrick Barry, one of the most successful Sanda/Sanshou students of Grandmaster DeRu. Mr Barry is also Rose Namajunas' coach, and has been working along all the way with her during most of her UFC fighting career. In early 2002, Patrick Barry arrived on New Orleans camps of Shaolin Institute after training for a few months with Russell Jones in Baton Rouge. Bored with bowling and gymnastics, Barry had started spending time at Ancona's Gym and kickboxing club, where even untrained kids could find a fight. After he was knocked out, he decided to get some training before he fought again. In 2003, Mr. Barry fought twice in KSF Art of War III professional Sanshou/Sanda fights in Atlanta, GA. He won both a US National Sanshou Team spot and KSF-K. Superstar World Title by knocking out Paul Gurevidius, a European Sanda/Sanshou and Thai Kickboxing champion. As a US National Team member in 2003, Barry participated in the Wushu Kung Fu World Championships in Macau, China, winning a silver medal in Sanshou heavyweight division. He went on to win the K. Superstar title at US Open International Martial Arts Championship in New Orleans in 2004. From 2002 through 2008, he fought three times at U S Open International Martial Arts Championships and captured three gold medals in heavyweight international Sanshou divisions. He visited China four times with Grandmaster DeRu, competing in one of Shandong's stadiums and training and sparring with the Chinese national Sanda Team in Xi An knocked out the 3-time Chinese national heavyweight champion and trained many times at the Shaolin Temple in China. He also participated in "Journey to the East" documentary filmed in China and was named by the Shaolin Temple Masters as a True Shaolin Warrior of the West. He is one of the most loved fighters in China by both audience and the fighters who fought him. His generosity, friendly personality and his happy-joyful attitude has won hundreds of thousands martial artists and audience alike in China. His caring and loving energy affected so many who approached him or trained with him even those fighters whom he defeated and knocked out. Mr. Barry has fought for many years in Sanshou circle, K1-kickboxing and later on UFC main card before he moved on to fight on Glory main card. As Mr. Barry said in 2008, “If you ain’t gonna give it 2000% what’s the point!” Barry said, “Like master Yoda said, there is no “try”, you either do, or you don’t and I’m looking to put on a show!”. He did assist his fiancé to do the best performance. Barry told the media before it’s all about being self motivated. Barry has a deep passion for trying to spread this message to get people to take charge of their own future as he called “unplugging from the matrix”. Barry has always said: “I want to be the world’s greatest teacher, I want to give back to the sport and develop more ambassadors to carry the torch for the sport”. He did exactly what he promised. 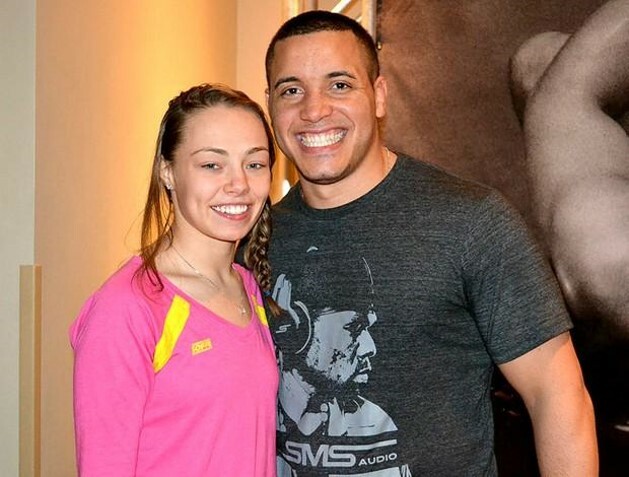 It was an incredible moment for Ms. Namajunas, who described her feelings at the moment of her winning, "I just want to use my gift in martial arts to make the world a better place. This belt doesn't mean anything. Just be a good person. I know we fight, but this is entertainment. Afterwards, it's nothing." “We all so happy that she holds such high conscious energy frequency like her fiance, Mr. Barry. We, the Shaolin, as the largest Chinese martial arts family in the world, shall all congratulate her not only her UFC champion belt, but her great spiritual attitude which is so needed in martial arts fighting circles today” said grand master DeRu. She is absolutely one of the few martial artists who do not only care about winning alone but Zen freedom and consciousness with mind-body development and honor of martial arts. That is so Shaolin original heart and mind transmission. It ’s indeed inspiring to all Martial Arts Amateurs and pros alike, especially K. Warriors of Shaolin Sanda on the US Open Martial Arts Challenge fighting platform. K. Warrior - 31st US Open MS Challenge, promoting Shaolin Sanda with the theme of “Zen” freedom and potential in mind-body betterment. 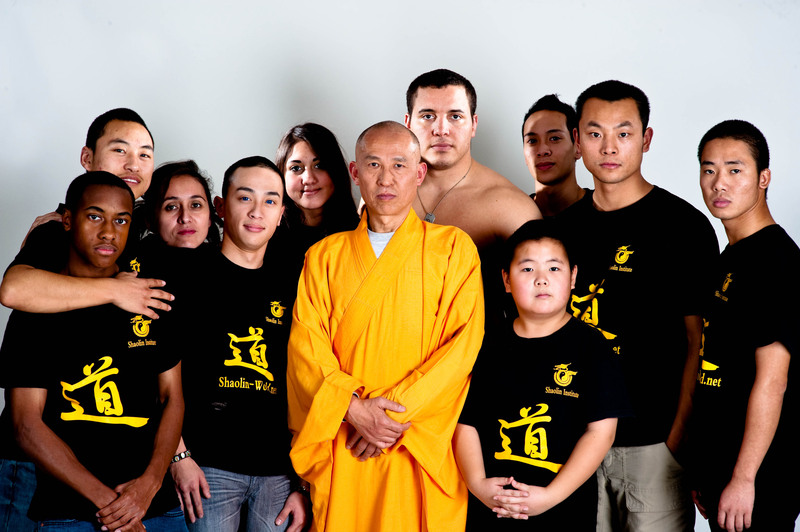 Shaolin Martial Arts is about honor, character and human dignity. The promoter of the K. Warriors, Master DeRu vowed to work together with martial arts community to return to that original martial arts intention to make the world an honorable and better place!